When it comes to high-end premium miter saws, this one takes the win. If you’re looking to substitute your old tool with a worthy replacement, now is your chance. A lot of people think that the price is a sole representation of high quality. However, it’s not true at all. There are plenty of super-expensive models on the market that simply aren’t worth investing in due to many mechanical issues. On the other hand, there are some that offer more than you’ll ever need for a demanding project. 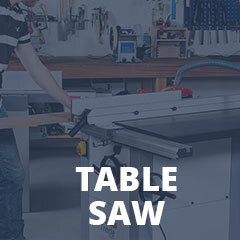 Take a moment and check this review out if you’re searching for a professional sliding saw. We are here to help you find the best possible solution for your upcoming projects. Therefore, instead of searching on the Internet for hours without any results, take a minute and check our articles. You can find all the info you need in one place – here. The moment you see this particular saw, you’ll realize how incredible it is. It has more than enough features to tackle any project without even breaking a sweat. Its 1600W motor offers variable speeds from 1400 up to 3400 RPM. As you can see, it’s able to cut to any angle through any type of wood without a single problem. Safety is at the highest level. The blades are specially designed to reduce noise and vibrations. Also, the measuring elements on this model are well-aligned and calibrated properly. The dual laser design allows you to cut any angle with high precision and accuracy. Dust collection is good, easy to setup, and most importantly – efficient. It’s immediately noticeable that they invested a lot of effort into the design of this thing. Everything is positioned in the right way, accessible, and convenient. It may not be the easiest miter saw to use, but it’s also not the most complicated one. The inexperienced users should read the manual before plugging the machine in just to make sure everything is in order. In fact, even the ones that are convinced in their expertise should refer to the manual for guidelines. As we said, the measuring instruments are excellent. Needless to say, miter and bevel bases are what makes a difference between a cheap and premium unit. This particular one is easily one of the most precise within its own category. The FastFix system allows you to change the blade fast and easy. Many people struggle with blade changing because it also requires alignments and recalibration. Needless to say, the FastFix system is good news for both professionals and hobbyists. The safety elements are great. The blade guard is transparent and easy to use. The handle grip isn’t cushioned, but it still doesn’t vibrate as much as one would expect due to the specially designed thin blades. Thanks to the innovative design, everything is within your reach while the machine is under load meaning you can react quickly if something goes wrong. One of the most surprising features of this model is definitely the dust extraction. The manufacturer claims it’s able to extract up to 92% of dust, which is impressive, to say the least. The crucial thing about it is that it’s integrated into the machine instead of being just a single dust bag mounted on the exhaust part. Instead, you can hook up a hose on the port and use some of the Festool’s dust extractors for optimal extraction. Therefore, you do need an additional accessory for the best results, but 92% seems incredibly tempting. We liked a ton of stuff when it comes to Festool Kapex KS 120. The accuracy and precision of this model are unprecedented thanks to the innovative miter and bevel scales. Furthermore, the smoothness of operation is one of this unit’s strongest points. In simpler words, there are no hiccups, sudden stops, or any kind of failure during work. It’s as reliable and trustworthy as it can be. The dust extracting is one of the best on the market. Even though you do need to buy an additional accessory for the best results, it’s worth every penny considering that it eliminates up to 92% of dust. There are very few things we didn’t like about this compound saw. The first one is the price. While it’s a high-end piece of equipment, it still manages to raise some eyebrows when it comes to the price. One cannot say it’s cheap because it isn’t, but it’s certainly a tool worth investing in. Bear in mind, if you’re a DIY enthusiast, you might want to look for something cheaper with similar features. This particular machine is foreseen for demanding tasks and professional projects. It won’t be as cost-efficient if you don’t use the full potential of it. There are very few hobbyists that opted for this particular model due to its hefty price. Therefore, from a DIY-ers point of view, it isn’t the best possible solution. On the other hand, a vast majority of professionals praised the accuracy and quality of production of the Festool Kapex KS 120. If you’re a devoted professional in need for a good machine, you’ve hit the jackpot. As we said, this machine isn’t the right investment for people who work with wood occasionally due to its hefty price. While it is an affordable machine, it’s only cost-efficient if you use it on a daily basis and use the full potential of its features. On the other hand, if you’re an individual that likes having a high-end piece of equipment by their side, don’t hesitate to check this model out. If you’re not satisfied with what you see, take a moment and check our other reviews out. We covered some models that are significantly cheaper than this one but offer fewer features.